Google’s search engine is already a handy tool to find inspiration and ideas for your next great outfit. Now, it’s looking to make it easier to shop for finds with an interesting new feature. The company describes its new Shop the Look experience as follows: When you search for an outfit with query like ‘cocktail attire’, Google will surface a photo of a fashion blogger wearing a cocktail dress and accessories to go with it; you can then check out those exact products, or similar looking ones through relevant Shopping ads. 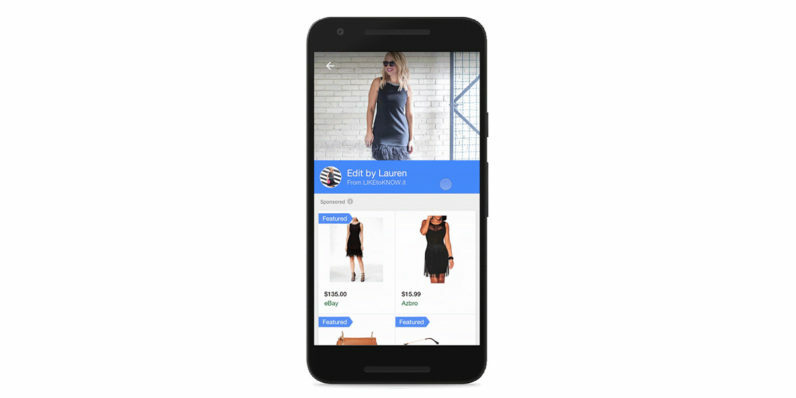 Google says that the images it will feature in its Shop the Look experience will come from brands, bloggers and retailers that it’s partnered with, such as LIKEtoKNOW.it and Polyvore. It’s currently testing the feature on mobile devices in the US. It’s certainly an interesting approach: In addition to its powerful search capabilities, Google also has the ability to network extensively with bloggers and brands to cover just about every fashion query people can come up with. That negates the need for users to download apps from multiple stores and search through each of them separately, while also scoring big bucks for Google. Have you tried the new Shop the Look experience on Google yet? Let us know what you thought of it in the comments.